Please Follow Us Before You Download! Download, edit, cut, and make! Caluya Design’s SVG cut file & Font downloads are 100% free for personal use. If you wish to use our design, it is only $3 per bundle/design/font for a commercial use (up to 500 physical products or for any other business usages, such as logo design, website design, digital publishing products and such). Oh no! We are so sorry for the inconvenience. Let us help you fix it. Please visit HERE and we might have a quick solution for you. Let us help! Share your freebie with thousands of subscribers and get massive exposure for your shop/portfolio! Every week we send out Freebie newsletters, and feature top notch freebies. Our website generates average of 12,000 PV per day, your freebie will get massive exposure. We will give you two backlinks on our website, so it’ll help you getting more traffic & followers to your business! Many of our freebies were requested by our Facebook group members. We listen to our followers! we want to make you all happy! Our group is open to anyone who wants to seek & share SVG files, ask cutting machine related questions and sharing your creations. Newest freebies and DIY articles will be shared everyday. You can join now and never miss our freebies and updates! Thank you for visiting us and download our freebies! Our cut files comes with SVG, DXF, PNG & EPS files, and they are compatible with Cricut, Cameo Silhouette Studio and other major cutting machines. 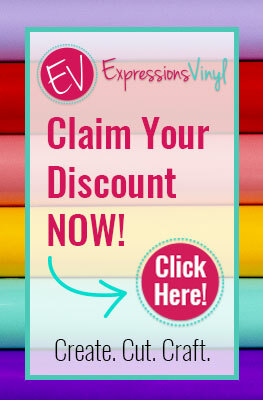 I hope you enjoy crafting with our free downloads! Possibilities are endless- HTV (Heat Transfer Vinyl) is my favorite as you can make your own customized T-shirt for your loved ones, or even for yourself. Vinyl stickers are so fun to make, as they can decorate your craft box and tools.